A big thanks to everyone who stopped by at APE! It was a pleasure getting to meet so many people! 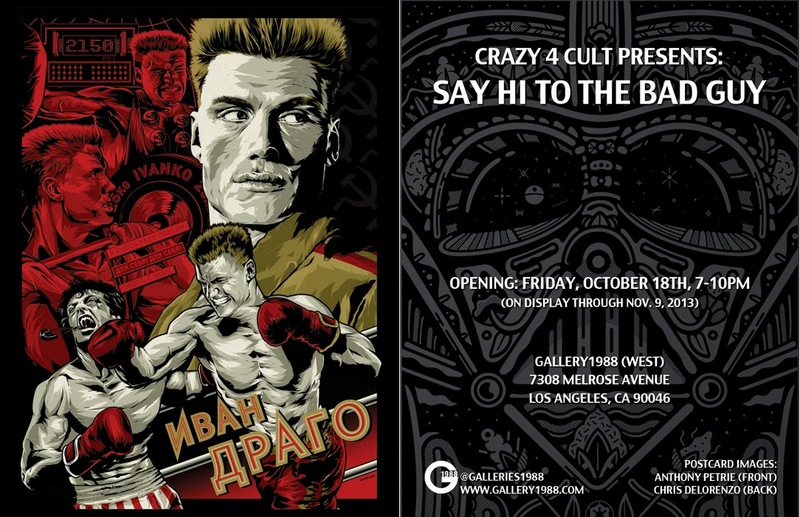 Up next for me is the Gallery 1988 opening for their upcoming exhibit, Crazy 4 Cult: Say Hi to the Bad Guys. Rarely do you find Asian women in cinema and even more rarely are they such bad-asses. So for my piece, I decided to focus on O-Ren Ishii from Kill Bill. O-Ren's sequence has that amazing graphic novel-like background story so I tried to keep my piece graphic as well. I played with the shape of the mat so it felt like the katana she uses. I also splattered red watercolor over the background to mimic the abundance of blood throughout the film. Needless to say my workspace was covered with red paint and it looked like I cut off a finger when I was finished. Fun times! If you get a chance, be sure to check out the show opening October 18, 2013 from 7-10pm at Gallery1988 (West).